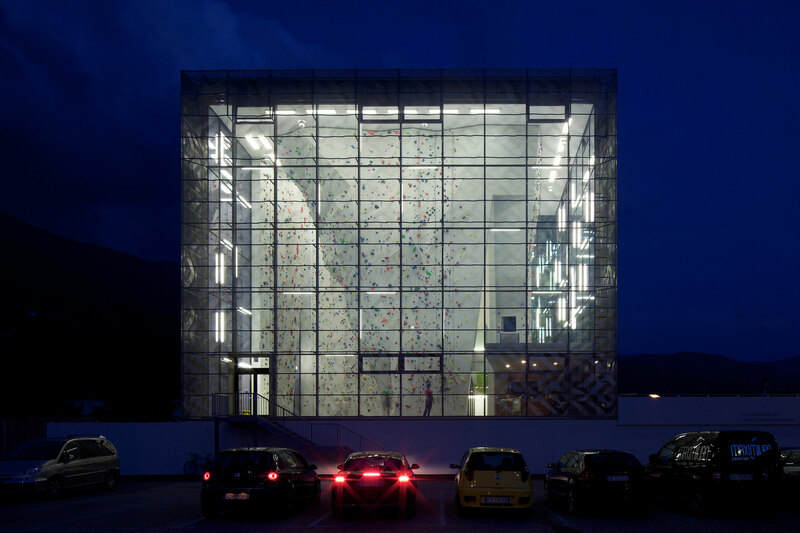 The climbing hall in Bressanone offers climbers advanced training and education in an environment that feels as open as the outdoors, while still providing protection from the elements. 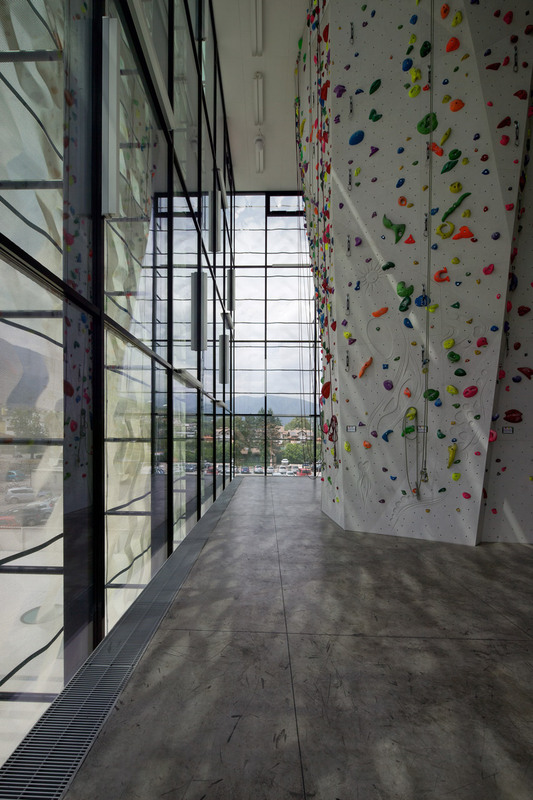 The climbing wall rises to a height of 16m while the bouldering area on the first floor offers ample space for people of all ages and levels. 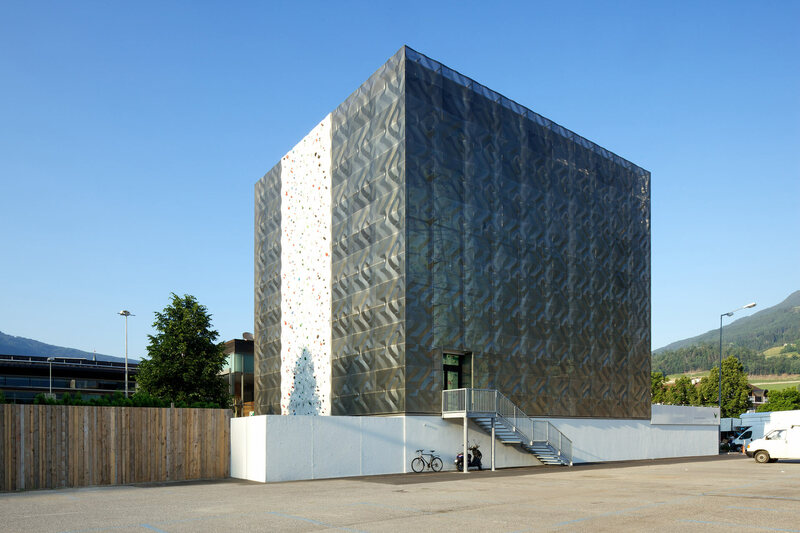 The facade features sun protection glazing paired with a unique fixed external shading device. 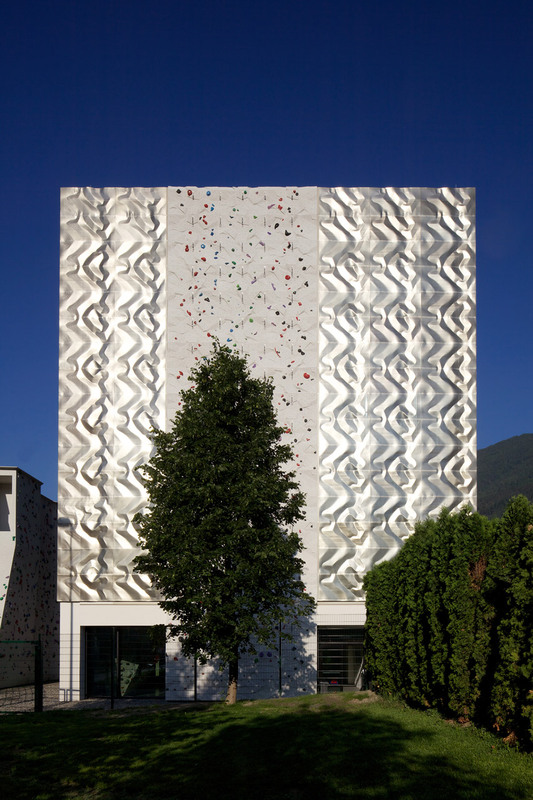 The external shades are perforated metal panels that have been bent and formed to echo the craggy surfaces of climbing walls and suspended in front of the fully glazed climbing hall, acting as a second skin. 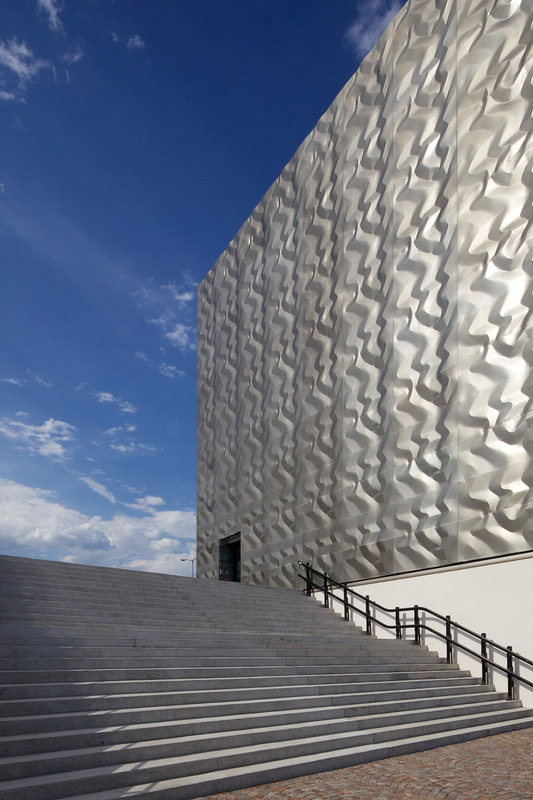 The perforations on these shading elements have been custom designed to prevent solar radiation from entering the climbing hall, while still allowing for generous daylight and views even on the most interior locations. 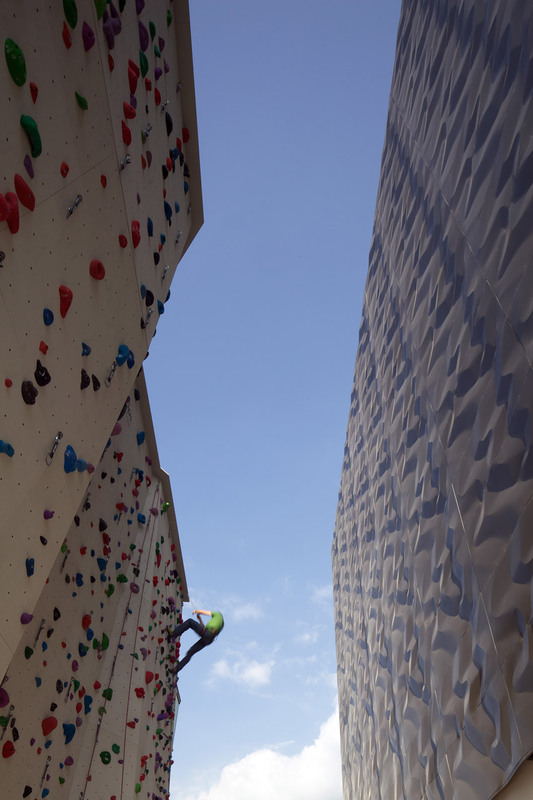 Despite its critical role as a solar shader, the perforated skin is virtually transparent depending on the time of day, offering an incredible view from the inside when the sun is out, and revealing climbers in action on the wall at night. 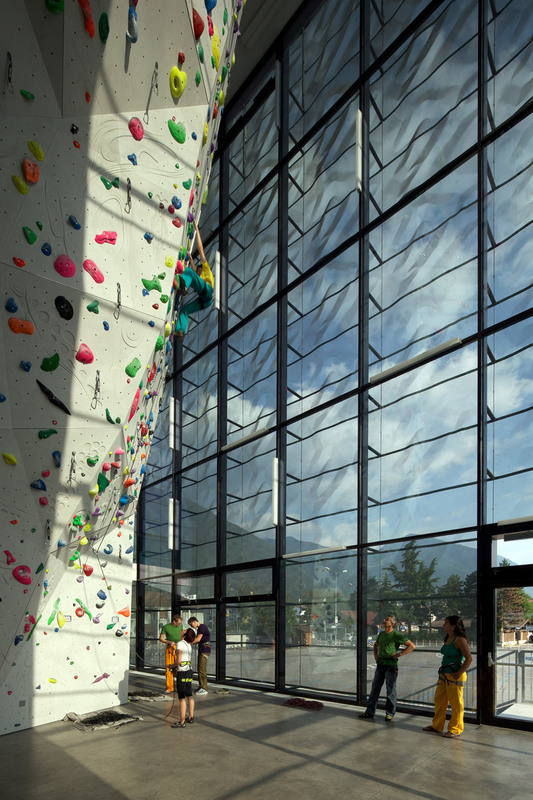 Natural ventilation via façade openings is the primary means of cooling and ventilation for the climbing hall throughout most of the year. 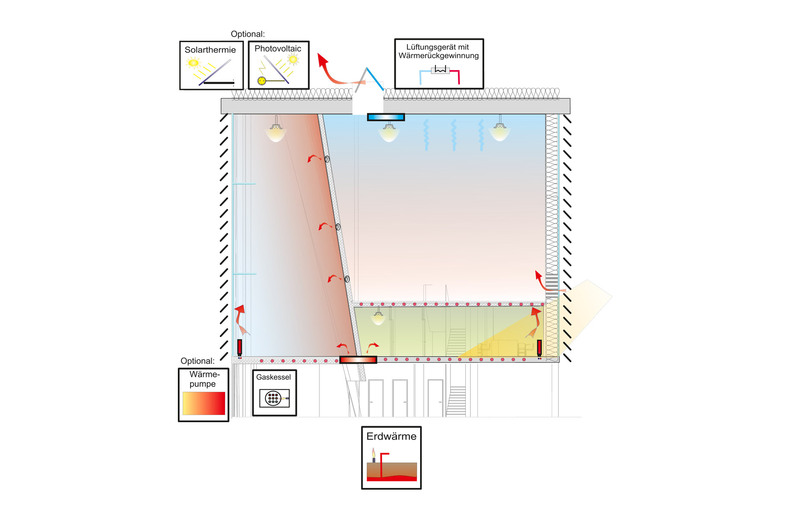 A mechanical ventilation system can be activated during occasional professional competitions or in extreme winter conditions in order to minimize heat loss. In these cases, geothermal heat pumps provide the primary means of heating or cooling through a radiant floor system. 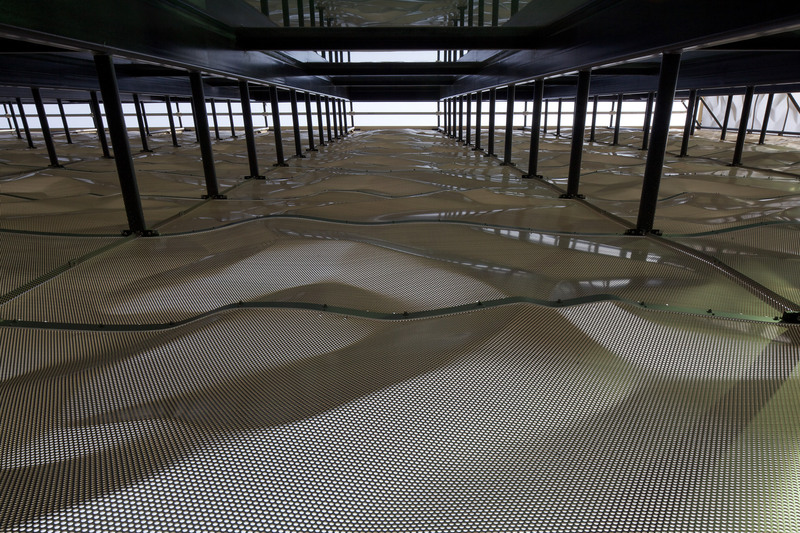 When cooling is necessary in the summer, the geothermal heat pumps are bypassed, and direct cooling can be extracted from the ground as a highly efficient way to maintain comfortable conditions in the climbing hall.